"I've Had Enough of Just Passing By Life": How One Musical Changed Our Lives — All Things Broadway: Where the fans and stars align! Fans of musicals often can cite one musical that changed their lives, whether it's the show that inspired a performer to pursue theatre as a career, the first show we ever saw that got us into theatre, or in this case, how a musical can bring us out of darkness and back to the light. In this case, it's the musical Hello, Dolly, and how the recent revival impacted so many lives. No matter what actress the audience saw play Dolly, they left the Shubert Theatre transformed. I've interviewed several fans of the show who felt that this one show somehow impacted their lives. Most of the interviewees, including myself, saw actress Donna Murphy as Dolly, but a few here also saw Bernadette Peters and Bette Midler. Before we proceed, there's something that makes the show even more powerful: both Murphy and Peters share a connection with their character, their own personal loss of their husbands. This makes certain moments, like Dolly's monologues to Ephraim to let her go and let her move on, even more emotional. People often think of Hello, Dolly as a simple, fun musical comedy - and it is, but like so many classics, there is so much depth and emotion at its core. This show is about a woman who wants to move on from the loss of her husband. Yes, she's a matchmaker and she meddles in the lives of the other characters, but while she improves the lives of those around her and helps them, she also needs to find her own happiness again. Without Dolly Levi, I wouldn't be a writer for this blog. Because of this show, I've found a goal again, a drive again, and I felt my heart coming alive again. Yes, these are lyrics to the famous and inspirational song "Before the Parade Passes By". These are the lyrics that changed me. Before I saw the show (a second time, and it happened to be Murphy's last performance, on January 7, 2018 - a year ago, exactly. Yes, I planned this article for the anniversary of the life-affirming, changing performance). I knew I was depressed. I'd given up on my career goals and I was settling for a job I had no passion in. I had just lost my grandmother and several other sources of inspiration in early 2016. I felt stuck for two years and filled the void with anything I could distract myself with. There was always a looming feeling of emptiness. I had no reason to carry on. When I saw the show a first time, I loved it, but I guess I wasn't ready to let go. Perhaps the universe was trying to get me to open my heart again. Something about the energy of the audience, the joy of the show, the optimism of Dolly Levi and her personal journey to "rejoining the human race", and the masterful, emotional performance of Donna Murphy - something woke up inside my heart that day a year ago. I literally "felt my heart coming alive again" as I sat in the theatre. I was changed. Not only could I feel the love of theatre and performing radiating from Murphy on stage, and from the cast members to this insanely talented Broadway legend while she worked her magic, I could feel the audience giving it back. Maybe it was partially Murphy herself who brought about this change - because I went to BroadwayCon later that month and saw her on a panel about audition stories and the panelists all emphasized our uniqueness, and suddenly I felt like I didn't have to compare myself to others. Suddenly I felt I could start trying again. That's when I realized maybe there's hope for me. Maybe I am enough, maybe I am worth it. Something was missing from my life and I think it was theatre. I saw more Broadway shows last year than since I felt myself sinking futher into depression. Musical theatre completes me - and Hello, Dolly, this panel at BroadwayCon, and meeting and connecting with Murphy and experiencing her kindness - these all helped me realize that. Murphy has told me to be good to myself and to keep doing what I love, and I'm trying. Now I want to take on the world. I want to live life to the fullest and do better, be better, be the best version of me. I want to live those dreams and work toward them. I started taking voice lessons again. I saw more theatre. I went to New York City (which I've always cited as my happy place, where dreams come true, where I've met most of my inspirations) a lot. I made plans to move there soon, and to no longer take no for an answer, to keep trying. Because really, "I've had enough of just passing by life". Who wants to watch life just pass by and miss out on so much because you don't feel like you're good enough? And just because anxiety and depression tells you you're not worth it? That's not living. That's what I got out of Hello, Dolly. Murphy returned to the role of Dolly in July and August of 2018, and I got to see her (and talk to her at the stage door) several more times, now with this awareness of what she and Dolly mean to me, and I got to take several friends with me, as well as make several friends through the show. Those were wonderful days I will always remember, and moments I will always cherish. I wanted to show how we've all been changed by one musical. We've all struggled, we've all been inspired by this magical show. These friends, the people I interviewed for this article, we've all been changed by this extraordinary show. I look back on 2018 with fondness because of all the memories attached to Hello, Dolly, and I honestly don't know where I'd be now if I hadn't found this show when I did. I don't know what I would want out of life; I don't know if I'd have any dreams, or what would keep be going. Life before Dolly, for all of us, wasn't as bright. Robbyne had also just lost her grandmother and that loss made her lose hope in her dreams. "I was in a very dark place,"she wrote. Zach was also in a dark place: "I felt trapped, like my life was on autopilot and I was stuck in a rut. Work life was far from perfect, I felt isolated, and was struggling with depression for the first time in many years." Allie went to see the show with her mother, and noticed a connection between Dolly and her mom. "[My mom] is an incredibly strong inspiring woman who has sacrificed so much for her family. At the time she was in the process of divorcing my dad who had been abusive and terrible to her for my entire life. My mom reached a point where she realized that her marriage was not healthy for her or her children and left her husband of twenty-five years." Another fan, Kaity, had also experienced loss. "I was floundering. I didn’t know what to do with my life. My dad had passed away about 2.5 years prior, and I felt guilty for feeling joy when I didn’t have him in my life." Then we all bought a ticket to see this classic, joyous Broadway musical, and were all transported to Yonkers and New York City for a journey to happiness. I asked each fan what specifically about the show and the performances that moved us, and so many of the answers were similar, but it was also really interesting to see the differences. Something different captured each of our hearts. The most commonly moving moment was also my favorite, "Before the Parade Passes By". At Murphy's last performance in August, I remember sobbing at intermission after this song, because it was so emotional and so powerful, and I was there sharing it one last time with so many of the friends I'd made through this show. Rebecca, who also saw Donna Murphy, wrote, "I especially loved her approach to ‘Parade’, the way she went through a whole range of different emotions was very touching and made everybody in the audience connect with the character and her story... I also was very worried that she would start crying during ‘Parade’ in her first performance (I certainly did) because it was so incredibly charged with emotion." Allie, who saw Bernadette Peters, said, "As we were watching the show...I had a moment of realization during the song 'Before the Parade Passes By' of just how similar my mom was to Dolly. They were both strong talented women who, for different reasons, were coming out of dark periods in their lives. And even though they were older they still had fight left, they still had the ability to get life back into their lives!" "Dolly reclaiming her heart and her joy from years of grief and sorrow, and I needed that so much," Kaity wrote. "I needed to see Dolly’s heart coming alive again, reclaiming her life before the parade passed her by. I needed the joy of the technicolor Sunday Clothes, of the pastel wonderland of 'Dancing'. I needed it all. I needed this wonderful woman more than I ever knew." She also mentioned an incredible line near the end of the show, as spoken by Cornelius Hackl: "The world is full of wonderful things!" It's amazing how a simple line like that can make you smile and make you see the world a little differently. Zach, who was lucky enough to see all three Dollys in the Broadway production, mentioned the famous "Oak Leaf Monologue" and Murphy's characterization. "[Donna Murphy] connected with this role in a way I have only rarely seen from any actor or actress in any kind of role, and it was moving from start to finish. Her interpretation of Dolly was one of a woman ready to reclaim her life, to stop living from day-to-day and really savor the feeling of living in the moment and celebrating the big and small things that make life worth living." The Oak Leaf Monologue happens right before "Before the Parade Passes By" and is a monologue to Dolly's late husband Ephraim. Dolly wants to let go of the pain, "rejoin the human race", and carry on. "She claims her own agency in that moment," Zach wrote, "and reclaims her life after years of grieving and trying to avoid moving on out of fear of losing her beloved Ephraim forever." Robbyne, who also saw all three of the Dollys, was moved by a scene between Dolly and Horace toward the end of the show. Dolly asks Horace, "Am I a somebody?" Robbyne says, "As someone who’s always been very insecure and felt invisible, it always spoke deeply to my heart, and it made me feel like maybe I could matter too." Others connected to different aspects of Dolly and the performances. Lorraine, who saw Bernadette Peters, wrote, "I love Dolly for the fact the lead is outspoken in a time where women should be meek, that she stands her ground, shows how to make an entrance and how to outwit many a man." Theatre can change our lives even in the smallest way. Rebecca wrote that every Tuesday she thought of Donna Dolly Tuesdays, since in her original run, Murphy was the alternate and performed only on Tuesdays (and during Bette Midler's scheduled vacations). "I left the theatre feeling more open and joyful than I had felt in years," Kaity said. She also wrote, "Hello, Dolly has connected to me to amazing people, both fans of the show and performers in the show. The show itself gave me a place of refuge while it was running, a safe place to just forget my troubles and be immersed in Dolly’s world for 2.5 hours. 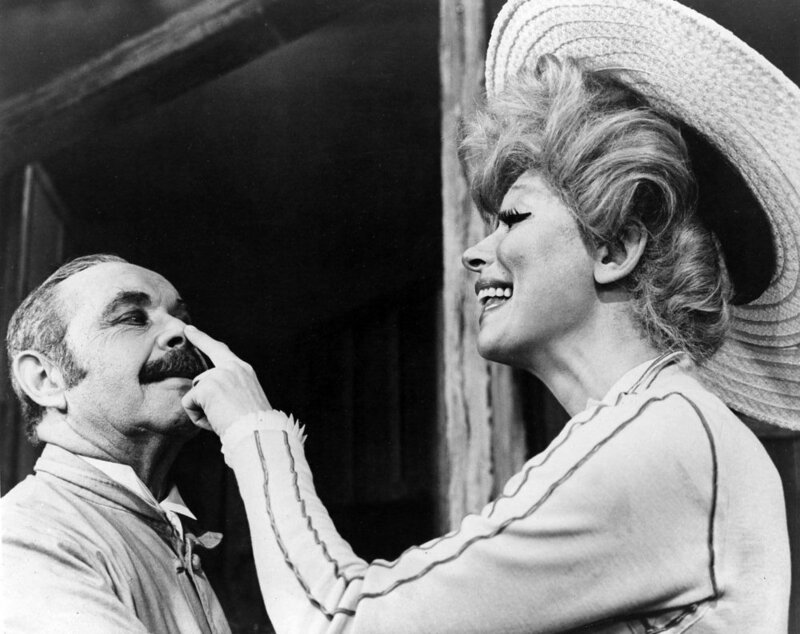 I’m a completely different person now than I was before I saw Hello, Dolly, and I’m so much better for it." "After seeing Hello, Dolly and meeting [Donna Murphy] at the stage door," Christian wrote, "I felt that I could be happy more often. I also felt that I could live my life once more. Dealing with certain things in my private life, that show taught me that I can begin my life again. I can un-pause and continue the chapter I was meant to live and to finish. That we all deserve to be happy and to have seconds chances in all areas in our lives." Robbyne wrote, "Donna Murphy has taught me so much about the integrity and humility I aspire to have, and the way I hope to make people feel through kindness and caring...She is just captivating to watch. Her authenticity and talent just radiate the entire time she is performing...Seeing her strength, and her ability to keep going through the pain [of loss] and to continue her acting career, made me want to try again in my own. I had given up hope when I lost my Grama. [Donna Murphy] was the one to reignite my acting goals and dreams." Zach wrote, "I'm a more positive and optimistic person for having experienced this show...Like Dolly, I found a drive to rejoin the human race, to stop wasting away in loneliness, and to seize the day and the opportunities I see right in front of me...Highs are a bit higher now, and the lows last a little less of a long time." He also said, "Hello, Dolly is one of those shows that from the first note of the overture to the last note of the curtain call is about being positive, about facing challenges, about meeting them head on, about never taking no for an answer when it comes to our own happiness and the happiness of others." Hello, Dolly closed on Broadway in August 2018, and is now on tour across the country starring Betty Buckley as Dolly. If you have a chance, and especially if you need a little inspiration, go see it. Any show closing on Broadway is sad for its fans, but fans of Dolly are keeping the love and inspiration taught by this wonderful show alive in our hearts. It's not always easy to keep going, after having such a light in our lives. I know I try to carry the messages of Dolly and the journey of this character with me, and always will. Allie said, "This show and what it helped me learn about my mom helped me see that it really doesn’t matter where you are in life, it’s never too late to grab life by the horns and make a difference." Zach described his life after Dolly as more positive. "I notice the joy around me more often, and humming the tunes from the show helps me get through some of the tougher times life has thrown at me." "I am forever changed by the beauty and the heart of this show," Robbyne wrote, "It is filled with memories that I will treasure deeply for the rest of my life. From special moments during the many shows, to my personal interactions and conversations with [Donna Murphy], to meeting some of my dearest friends because of Hello, Dolly. I am permanently changed in some amazing ways." "I try to live my life how Dolly (and [Donna Murphy]) would want me to, with joy and heart. I take leaps, and I try not to hide behind a cloud of grief. I know my dad would want me to be happy, and that’s what I try to do, always," Kaity said. "The first time I met Donna Murphy at stage door, I told her that I felt true joy for the first time since my dad passed in that theatre. I told her that I felt so guilty feeling that joy previously, but I felt like he would want this for me." Be positive. Feel joy. Feel the freedom to be happy after a loss or a tragedy in our lives. Never take no for an answer and move forward. Hold your head up high. Live life to the fullest. Keep dancing. Feel you heart coming alive again. These are just a few things we found through Hello, Dolly. As Dolly sings in the title song, "It's so nice to be back home where I belong." Thanks to all those I interviewed for the article: Robbyne, Zach, Kaity, Rebecca, Allie, Lorraine, Christian. You all deserved your stories to be told. I am sorry I had to condense so many of your wonderful, eloquent, emotional answers. We were all moved by Dolly, so inspired by the magic inside the Shubert Theatre. Let that magic live on forever. To all the friends I found through Dolly, this is for all of us. Happy Dolly-versary to those of you who were there that night. Special thanks to everyone involved in the 2017-2018 Broadway revival of Hello, Dolly, especially those mentioned in interview answers: Donna Murphy (especially), Bernadette Peters, Bette Midler, Kate Baldwin, Gavin Creel, David Hyde Pierce, Victor Garber, Santino Fontana, Taylor Trensch, and Charlie Stemp. "Dolly'll never go away again."